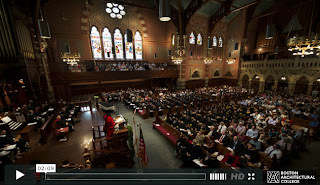 The Boston Architectural College held Commencement exercises on Saturday May 26, 2012 at 11 am at the Old South Church, following the traditional BAC procession down Newbury Street, to one of the most historically significant churches in the United States. The weekend activities began Friday evening, with a special Honors and Awards Ceremony to recognize student achievements. "We spend far too much time thinking and talking about everything on the outside and far too little on everything on the inside. As if somehow we believed we could design and architect perfect exterior representations of truth or beauty or clarity or harmony or sustainability without doing the work to find those values on the inside - in quiet moments of self-reflection, meditation, analysis, and prayer. In other words, the ultimate job of the architect is the design of the self." 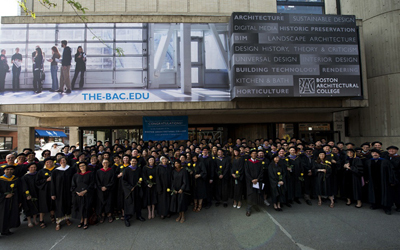 Junko Yamamoto, the Bachelor's Valedictorian, shared graduate reflections that recalled the late nights in studio, excellent support of her family, her classmates, and appreciation for our BAC Practice employers. Read her commencement remarks here. 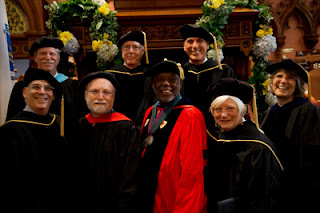 The BAC awarded five honorary degrees to remarkable individuals, who have, throughout their lives and careers, displayed an extraordinary commitment to advancing the design professions by passing on the lessons that they have learned and seeking constantly to improve the world around them. Following the Commencement ceremony, a reception with light refreshments was held in Cascieri Hall. Graduates, families, and friends mingled, took photos, and reflected on their time at the BAC. 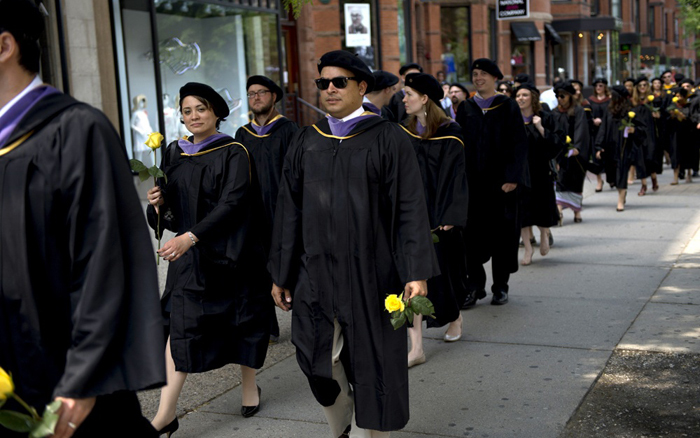 Congratulations to all of our 2012 graduates. We wish you the best in your future endeavors.